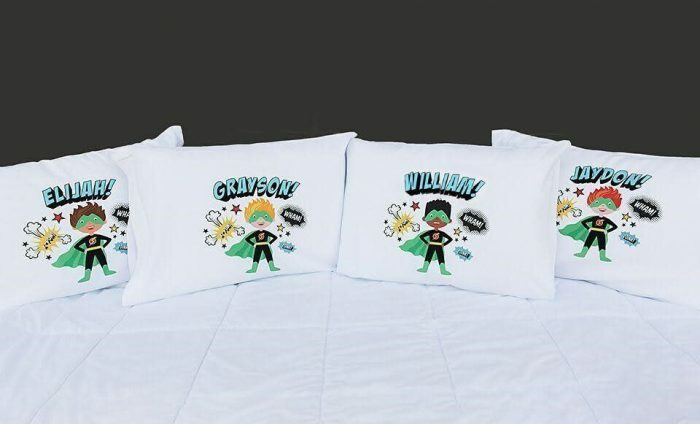 Jane has these Personalized Superhero Pillowcases for only $15.99 shipped right now! Choose from eight different designs. These fun and exciting pillowcases can be specially customized and will make your own superhero very happy. « Kids Leggings only $11.99 shipped! Darn – was hoping there were gender options. I was surprised that they only had “boy” versions of super heroes.